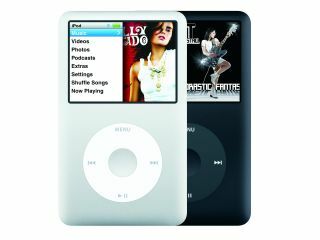 Apple is in trouble again, this time over the sound quality emanating from the new iPod classic. "I've noticed that the 6G sounds precise, crisp, but lacks 3D image and has an electronic haze to the sound. At first, this might sound like an improvement (crisp, detailed), but when listening more carefully and for longer times, it becomes fatiguing after a while. "The 5G sounds less precise, but its timbre contains more harmonic information and sounds less electronic. For me, the 5G is closer to how I experience acoustic music in real life, and for me is the better sounding device overall. "This is not to say that the 6G is a terribly bad sounding device! It's just less than the 5G, and sounds electronic / acoustical as opposed to acoustical / musical." The audio output issues above are likely to be caused by Apple's switch to a Cirrus Logic audio codec chip from the previous Wolfson chip, according to The Unofficial Apple Weblog. We hope to bring you the definitive answer by Monday - we currently have an iPod classic on test.